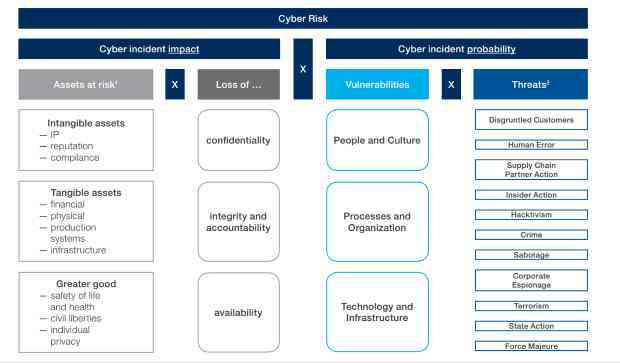 A board should take ultimate responsibility for oversight of their organization’s cyber risk and resilience, says a new security toolkit for directors from the World Economic Forum. Issued last week at the annual conference of business and political leaders in Davos, Switzerland, it gives boards another tool to help guide them in stiffening their organization’s cyber security. –and ensuring that a formal, independent cyber resilience review of the organization is carried out annually. For each principle the report helpfully lists a number of questions board members can ask themselves to reach decisions. As Internet technology spreads there is “an urgency that cannot be ignored” to manage cyber risk, wrote Rick Samans, a member of the forum’s managing board, in the report. “In the coming years, several billions of everyday devices will be connected. As our virtual and physical worlds merge, the stakes are increased. To effectively deal with cyber challenges, organizational leaders need a mindset that goes beyond cybersecurity to build a more effective cyber strategy and incorporate it into overall strategic thinking, the report emphasizes. Speaking only about cybersecurity is insufficient if the challenges of digitalization are to be effectively met. 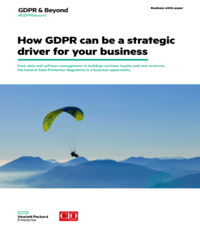 Protection is important, but organizations must also develop strategies to ensure durable networks and take advantage of the opportunities that digitalization can bring. The authors blame in part “junior” managers, who failed didn’t discuss the risks before deciding not to spread resources across a number of DNS providers and instead relying on Dyn for DNS reflection. The report also blames hardware makers for not hardening Internet of Things devices that were leveraged in the attack. If decisions like these aren’t set at the governance level an enterprise cannot ensure its own cybers ecurity or resilience, concludes the report. The report also makes it clear that the board’s decisions on risk tolerance levels have to be made with the executive team. Only then can the board evaluate the appropriateness of risk mitigation strategies such as risk controls (for example, employee training), organizational/procedural risk controls (for example, contractual provisions, policies, governance and sharing of intelligence across industries), technical controls (firewalls, intrusion detection etc.). The report also lists frameworks organizations can use for risk assessment such as the ISO/IEC 27k series of standards, the Control Objectives for Information and Related Technologies (COBIT) by ISACA, an association of information systems auditor and controllers, and the special publication 800 series by the U.S.-based National Institute of Standards and Technology.